Flippoker is among the new poker sites that have emerged in the online gambling industry using the virtual currency Bitcoin. However, unlike most poker betting venues online, it does not feature poker rooms nor does it have the common services related to Bitcoin poker. Nevertheless, this gambling site manages to make a mark in the industry, especially among Bitcoin bettors who are in search for a means to play Bitcoin poker without having to feel the pressure and intimidation exuded by experienced poker players. Check out how this poker site stands out in the market. Flippoker exclusively offers one poker game playable in web browsers, and that is the popular Texas Hold’em. This means that online players will not find here an array of Bitcoin poker games like Omaha, Hi-Lo and 7 Card Stud among others. Likewise, they will not have the option to choose their preferred betting limits. 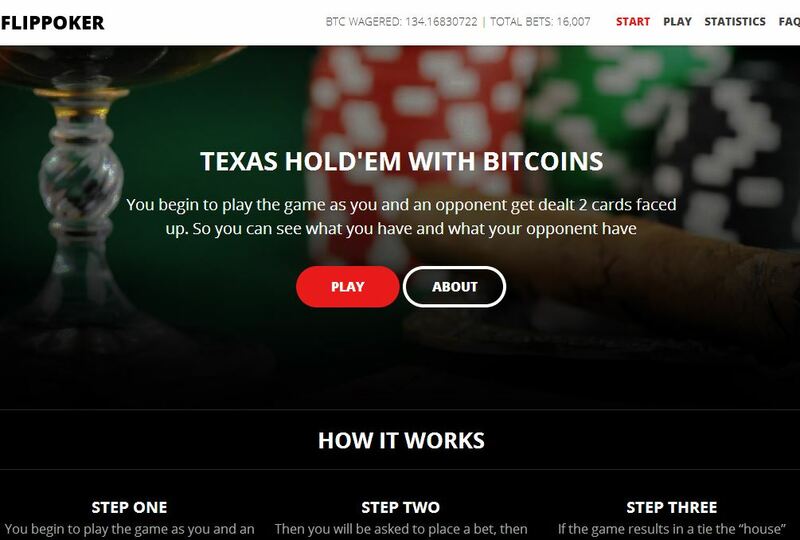 Despite these differences, however, this Bitcoin poker site ensures that its Texas Hold’em game is more than capable of providing an exciting experience. With this poker game, players will simply have to compete against the computer and apply the skills to guarantee a win. True enough, the game is simple with only the Bet and Fold options available, but it surely appeals to novice poker players. What is even more attractive about this poker site is its low house edge. With only 1% of the winnings going to the house, players are guaranteed to collect more payouts every time they beat the computer in several rounds of Texas Hold’em. This is one reason online poker players will absolutely enjoy placing bets on this game instead. 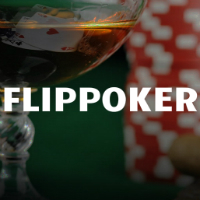 Flippoker surely knows the recipe for success because it has designed its poker game to be provably fair. Therefore, online players are assured of having reliable and fair betting sessions on this gambling site. Bettors can opt to verify its fairness through the SHA256 hash key presented before each game begins, which later on shows its decrypted form. Transferring funds through this gambling venue is simple and convenient. In fact, both deposits and withdrawals are processed right away, allowing for instant transfers to and from the player’s Bitcoin wallet. However, bettors must be advised that a 1% withdrawal fee is charged for each cash out. Also, they can make deposits of any amount because there is no limit. Those who are not ready to place their bitcoins on this game have the option to take advantage of the free bitcoins provided by this Bitcoin poker site. This feature is such a treat for players, especially because they become available every minute. This means that numerous people will be able to benefit from this special deal and experience the fun and excitement Flippoker offers.